Some of the world’s top developers, technologists and business leaders in open source came together to discuss the current state and future of open source in the enterprise, and it all happened in Raleigh. Touted as the “Open Source Center of the Universe,” mainly due to Red Hat being headquartered in downtown, Raleigh was the perfect place for minds to converge on open source topics ranging from UX design to Big Data. More than 1,750 people (up more than 40% from last year’s conference) were in attendance this year, bringing together a very diverse and sophisticated group of techies. The keynotes were quite impressive with individuals like Harper Reed from Braintree/PayPal, Jim Whitehurst of Red Hat, Pam Selle from The Webivore and Sarah Novotny of NGINX. For a full list, visit AllThingsOpen.Org/Speakers. Open source is a multi-dimensional concept, even when referring strictly to the topic of software, which is part of why this conference exists to explore the complex topic, and why Wake County Economic Development asked conference attendees why Raleigh was an open source community. Huge thanks to Red Hat CIO, Lee Congdon on sharing his take, see him below! 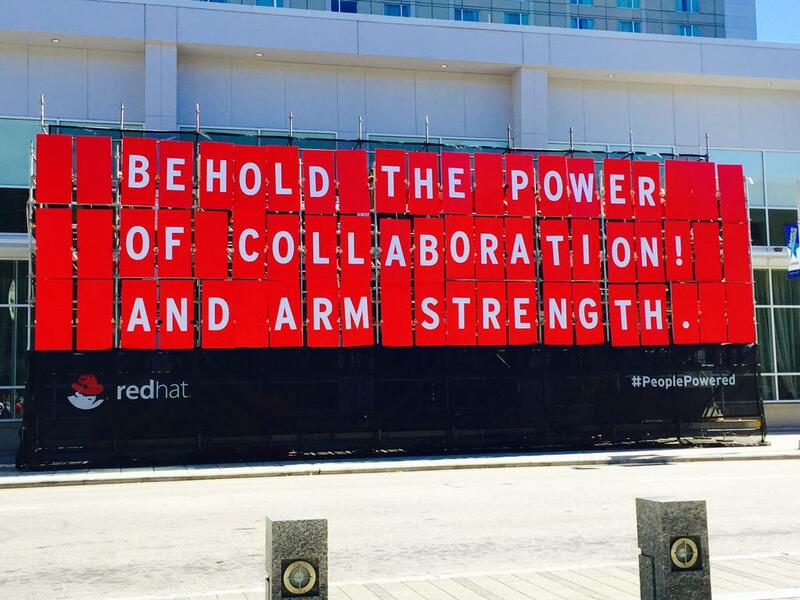 "It is the headquarters of Red Hat, which is a leading worldwide open source company." "The entire community embraces the open source philosophy." "Because of three great universities: Duke, UNC, and NC State." A global leader in open source, Red Hat has launchedOpenSource.com to take the open source way to the next level. To them, “The open source way is about applying the principles of open source software development beyond software. Beyond technology. Opensource.com is about sharing how the open source way can change our world in the same way the open source model has changed software.” The Red Hat way is more than just software, it’s about community and the way we engage in an open source way, being open to new ways of thinking that help to continuously drive innovation. To learn more about All Things Open’s success, read the recaps byWRAL Tech Wire and ExitEvent.